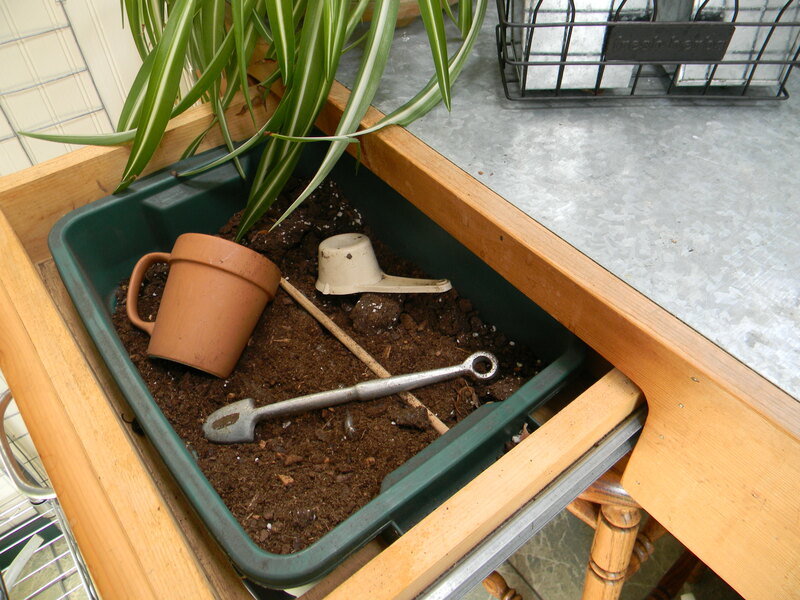 Twelve years ago my very handy husband built me a potting shed… hand-made desk, shelves, tool closet, cabinets and a potting bench, complete with a dirt drawer. If you are a gardener, I don’t have to tell you the magnitude this gift was to me. 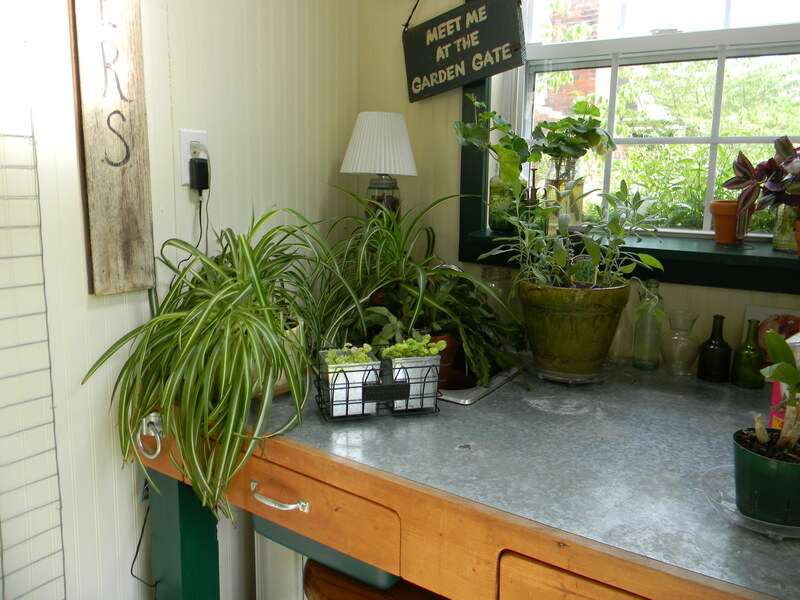 My potting shed is cute, it is functional, it is heaven on earth. Every moment I spend in my potting shed is pure pleasure– whether I am pruning, watering, reading or planning and designing the next big project. Spending time there keeps me sane during the long, dreary Indiana winters. I have simply never had an unhappy moment in my shed! When the temps dip below freezing , I bring the annuals and potted herbs into the potting shed where they will be safe from the cold. Some of the geraniums have spent 6+ winters in the Potting Shed… so they are right a home. Today when I went into the potting shed I was greeted by a very fragrant bay tree, apple mint (given to me by my mother 22 years ago), blooming geraniums, various leggy plants that need more sun and a stack of books, catalogs, sketches and notes I’m working on to prepare for the BIG SPRING PROJECT! Ahhhhhh heaven. 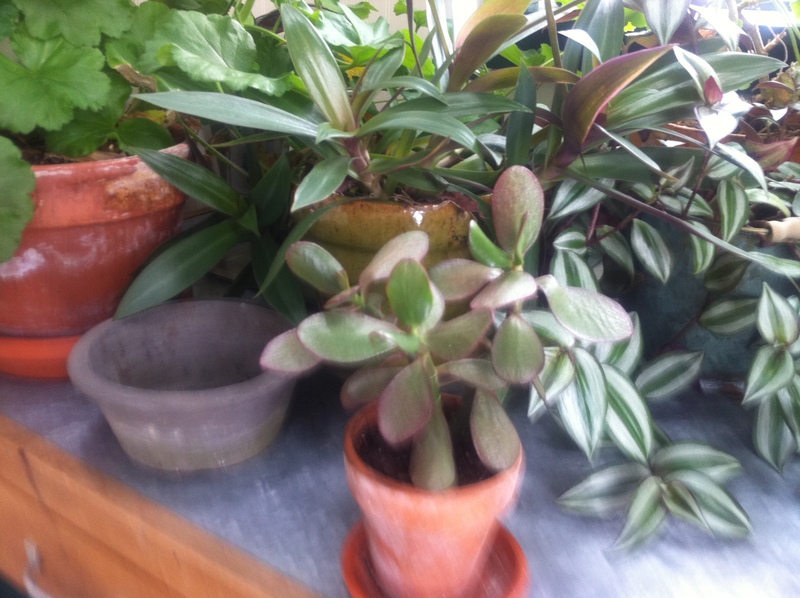 Another fun site in the potting shed today is my little Jade plant. The Jade was started by a leaf that was knocked off the mother plant and I couldn’t throw it way … so I “planted” it in a little pot. Look at how much it has grown! Proud mother moment. Oh my goodness! 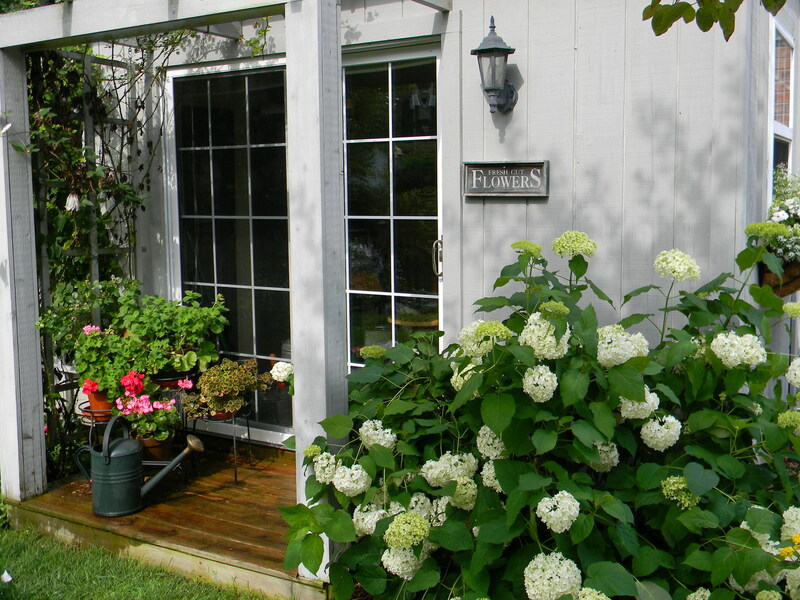 I can smell the potting shed! It smells heavenly. The photos are beautiful. Wonderful post!